Allied Enterprises has been giving solutions to cinema exhibitors such as PVR, INOX, Fun, Carnival, Big Cinemas, Wave, Platinum, Satyam, Cine Grand, etc for design and equipment for audio, Video and 3D since 2009. We are now catering to more than 3500 screens in and around the country for different range of products. With all the right exposure and expertise our team also provide customized and turnkey solutions for personal and commercial home theaters. 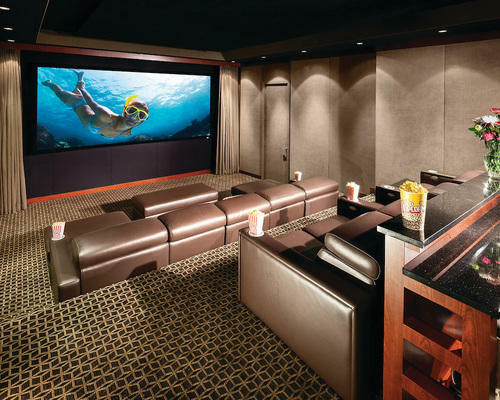 Our mission and key to our success is providing turnkey custom home theaters and automation systems. From design to installation, every step of the process can be handled by Allied Enterprises’ team. Each member is regarded as one of the best in their respected trade. Ours is a family owned and operated business that prides itself on customer service, close customer relationships and professionalism. Raj Kumar Sharma, Harish Gandhi and Samarth Gandhi personally interact with all clientele through the entire process from design to delivery of your custom system. We are most proud of hearing how our clients enjoy their investments every day. Clients also convey to us our theaters and home automation systems have generated increased home equity. Our system is one of the largest selling points, if not the selling point, after they put their home on the market. In addition, our company receives a continual flow of referrals from our manufacturers, contractors, interior designers, realtors and most importantly satisfied customers throughout our history. Ours is a referral based business and relies on complete satisfaction from our clients. We as a team will go to any lengths to ensure a satisfied customer and a positive referral. Allied Enterprises has a wonderful relationship with our clients and we have worked over 3500 screens including home theaters, small theaters, theaters, Cinema theaters, Digital Cinema Theaters, etc. Acoustics by Allied Enterprises Our acoustic panels allow you to create a better sounding environment while simultaneously enhancing the decor of the room. In order to control reflections and excessive reverberations we offer custom-made absorptive panels with ease of installation. The use of acoustical panels improves the sound and aesthetic quality of your entertainment space. They also offer an attractive solution to improve tonal balance and movie intelligibility, while minimizing sound reflections. We also offer diffusion panels in order to prevent the room from becoming acoustically ‘dead’.Diffusion panels increase sound quality and create a natural, comfortable ambiance. Since these panels remain uniform with the absorption panels, you will not be able to see a difference. 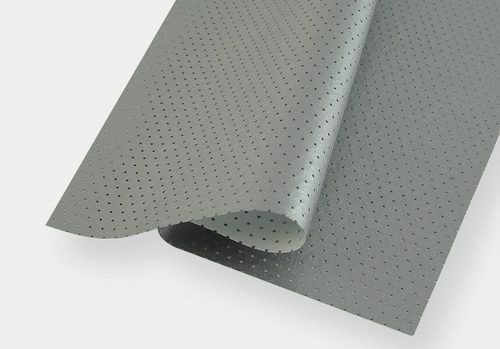 Both panels are available in a wide range of premium acoustically transparent fabrics. What’s the most influential component in any theater system? Speakers, projector, amplification? In actuality it is the room itself. Room size, structure and materials play the largest role in determining theater performance. Sound control encompasses many aspects yet it is distilled down to 2 main issues: sounds reflecting off the boundaries of the room, and sound that passes through those boundaries. For this reason we divide acoustic products into two areas, sound isolation and acoustic treatment. Isolation is an important factor; more information on it is available in our section called sound-isolation. We hope you’ll take time to learn about it. Acoustic Treatment within a room is designed to react with sound to accomplish one or all of the following three things: absorption, reflect or diffuse. Absorption is used to absorb unwanted reflections from the front speakers off walls and ceilings. This often causes audible echo, frequency changes or a smearing of the movies dialog. Reflective and Diffusive elements act as reflectors to sound waves coming from speakers in the surround field. In general, a fine balance of these three elements are required to accurate sound in your theater. For those technically inclined, Acoustic Treatment that is absorptive is rated in units of NRC (Noise Reduction Coefficient). Every material in your home has an NRC Rating of some kind. The lower the number the less absorptive it is with 1.0 being perfectly absorptive and 0.1 being perfectly reflective. Drywall is .2, while carpet is generally .2. Applying carpet or fabric to a drywall surface will reduce the audible reflections, but only at very high frequencies. Acoustic Innovations 1″ Harmony panels have a NRC of .85 while 2″ panels have an NRC of 1.0. Allied Enterprises also offers design services that incorporate aesthetic and technical solutions for the specific room. Our home theatre recliners offers the latest features for style and comfort. Their rhythmic curves and clever contours imitate commercial movie theatre seats, yet offer much more resourcefulness in the way of comfort and personalization. 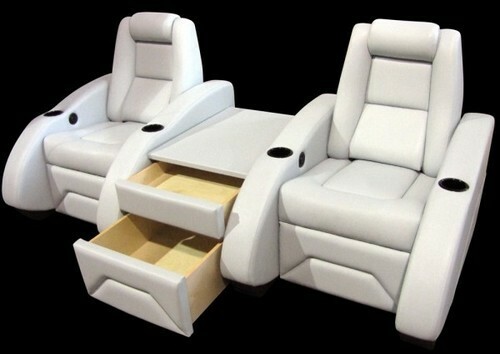 Offered in either confident colors or stylish leather, these seats stretches out to any position and are offered with optional hassock which provide not only comfortable seating, but also offer cleverly hidden storage space, perfect for items that you want to access during the movie without having a hard time finding them. The seats can be connected as well, ensuring that a loved one is just one arm rest away. Our extensive collection of high-quality home theater seats can be found in most of the top home cinemas throughout the world. Each seating model encompasses the ultimate in design, the finest quality and materials, luxurious options, numerous customizations and ultimate comfort. 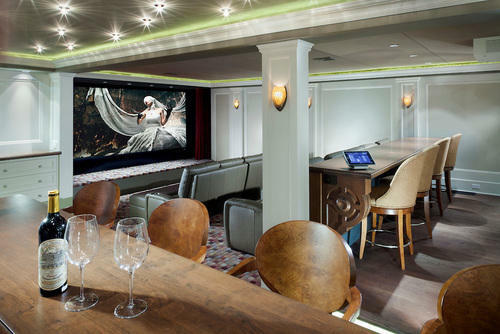 A screen is a vital part of a home theatre. Output quality of a projector is completely dependent of what kind of screen is selected. Selection and design of screen for a home theatre dependent on various factors such as viewing area, viewing angle, aspect ratio of the screen, layout and size of the room, throw distance of the projector, luminance/brightness of the projector, etc. Once all these factors are known then the screen gain and size is determined. We at Allied Enterprises make sure that each home theatre has a proper screen and is selected or customized after considering all the calculation factors to provide most comfortable and best viewing experience. We represent a brand named Stong MDI which has its own patented screens for RealD or IMAX theatres. Strong MDI is approved and accepted by all the major cinema chains around the world, Such as – AMC, Wanda, Regal, Cinepolis, IMAX, RealD, Disney, PVR, Big Cinemas, etc. We intend to bring the same cinema experience with best brand of screen used by all the giant exhibitors. Great system design translates into a great end result. The engineering team at Allied Enterprises is dedicated to ensuring that, through superior system design, you get the absolute highest performance and reliability from your audio, video and home automation systems. There are the enormous amount of details that go into properly designing audio/video systems and home automation in today’s luxury homes. First, there is the low-voltage wiring infrastructure. Your home’s wiring should not only be appropriate for the system that will be initially installed but should also allow for future technologies and system growth. Once your walls are closed up, they should stay closed. A properly engineered wiring plan should be able to adapt to new technology many years after your initial move-in. We prepare the home even for items that clients decline to have just in case a future homeowner would request it. This enhances resale value for the home. Tech rooms or media closets allow us to choose the highest performance and value added electronics at the time of installation. We design our systems with the future in mind and since some homes may take years to build, Allied Enterprises is prepared to deliver on the best wares available at the time of installation. System design and product knowledge is key to success. Components must interact reliably and easily. Our talents lie in making the whole system intuitive and simple! The third vital element to system design is our documentation package. We speak the language of your design team, and that language is detailed plans. 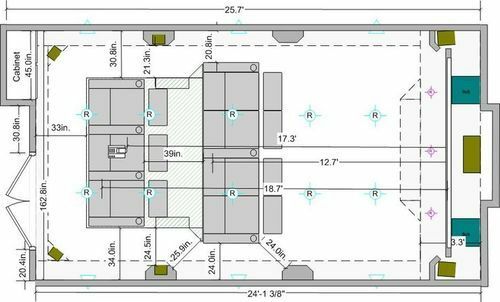 Our initial plans call out all the build requirements that your architect, builder, and interior designer need to know about. Our planning documentation includes electrical requirements, HVAC requirements, device placement, equipment space planning, home theater / screening room sight lines and riser heights/dimensions, television niche requirements, etc. This type of planning ensures that there are no surprises which result in either additional costs or a compromised end product. Our engineering team is committed to creating a well planned, well thought out system that will provide you maximum reliability and maximum value. 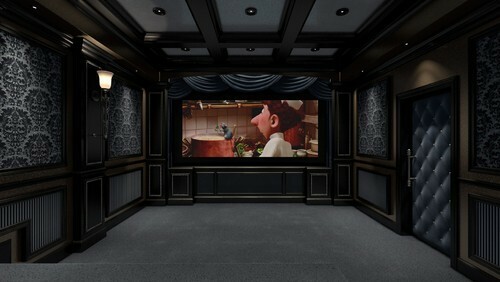 Visual output for a Home Theatre is processed with the help of a Full HD, 2K or 4K projectors depending on few factors such as the Screen Size, Screen Aspect Ratio(16:9 or 2.40:1), Projector throw Distance, Resolution, Utility of image being projected, device used to run the content, 2D/3D application, etc. 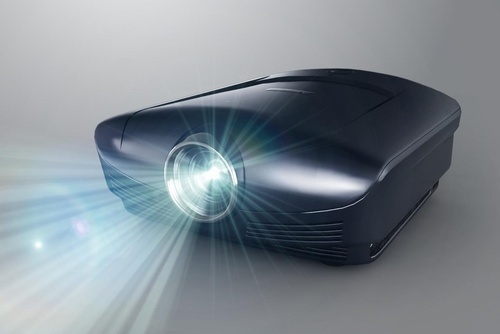 A single projector can be used for different utilities like watching movies, surfing Netflix, watching TV shows, playing video games on X Box or Play station or even for streaming videos through YouTube. Home Theatre Solutions by Allied Enterprises are focused to put the correct projector in combination for your customised Home Theatre after considering the architectural layout and the screen gain. 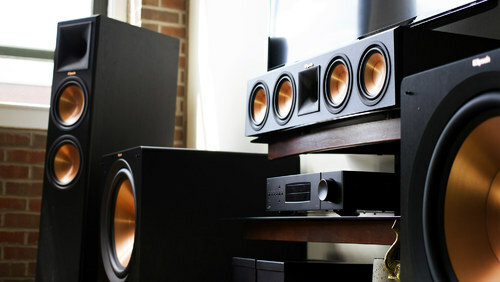 Home audio provides an ultimate immersive experience to your movies. Home theatre speakers should be calibrated in such a way that as per the room size and seating layout, the viewer shall get the best of the experience. With our technical skills and awareness of several brands of speakers we provide you best of experience from 5.1, 7.1 channel to recent Dolby Atmos format of sound. We sit and understand the concept and requirement customer has in mind for a personalised home theatre. We visit the site, inspect all the factors, make them aware what all factors are necessary to design and commission a customised home cinema. We make designs once we are clear with the necessities and concept a customer has in mind for the theatre. Several options are given considering proper viewing angles, comfort in seating, screen aspect ratio, projector throw distance, level of wall sound proofing, elegant acoustics, and amazing audio horizon. 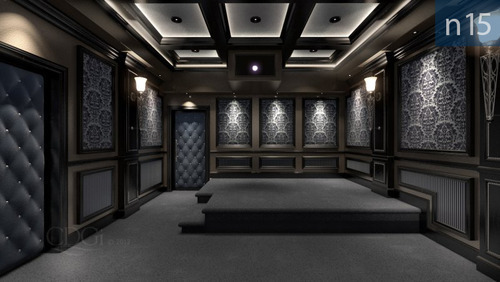 Once the approval is given for the design our engineers prepare the equipment such as audio speakers, video projectors, cinema screen, sound proofing tiles, glass wool, acoustic panels or walls, media server,luxury recliners/seats, automation device and all related software to build a perfectly customised home theatre. Happy Movies! Home theatre layout and architecture is the basis is of designing and building a home cinema. All the designs and layouts are made after pin pointing each and every element of the room or structure where the theatre has to be built. Once we have every thing on paper or our designing software we draft initial drawing for your theatre. In this drawing seats, projector, screen, entrance locations are mentioned. The same drawing is made considering all the factors of viewing angle in terms of a viewer. Once the drawing and layout is approved by the customer we start working on the concept and presentability of the theatre. In parallel we select best suitable equipment for audio, video, projection, automation, aesthetics, etc. Home theatre layout and design is the back bone of the theatre. 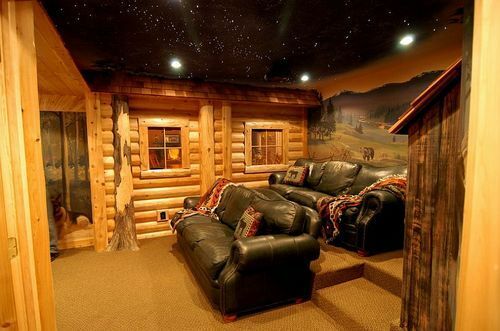 If the concept and layout is not proper, the feel of a theatre is felt missing and the cave one is hoping to have for a get away doesn’t feel like that way. Hence, it is really important to understand client’s idea behind the theatre and the utility. Concept is prepared once our team is able to relate with the Idea of the client and we improve it to give you your dream theatre. Looking for “Home Theatre Consultation”?